Cedar Rapids, Iowa (April 25, 2016) —The Kirkwood Foundation recognized distinguished alumni, faculty and corporate partners at the 5th annual Celebration of Success on Friday, April 8, at The Hotel at Kirkwood Center. More than 330 attended the Alumni & Friends event, which highlights Kirkwood contributions to the corridor, Iowa’s workforce, the U.S and 100 countries around the globe. Top honors went to former Rockwell Chief Financial Officer Larry Erickson, Kirkwood Professor Dr. Scott Samuelson, and MSI Mold Builders of Cedar Rapids. Erickson, a Vietnam veteran and former Kirkwood student, was presented with the Lifetime Achievement Award. The Trustee Award went to Samuelson for exemplary education of philosophy. He currently teaches at the college’s Iowa City Campus. Longtime college partner MSI Mold Builders received the President’s Award for their leadership in economic development and championship of Kirkwood career education. The college also recognized three alumni for their personal and professional success with the Distinguished Alumni Award. 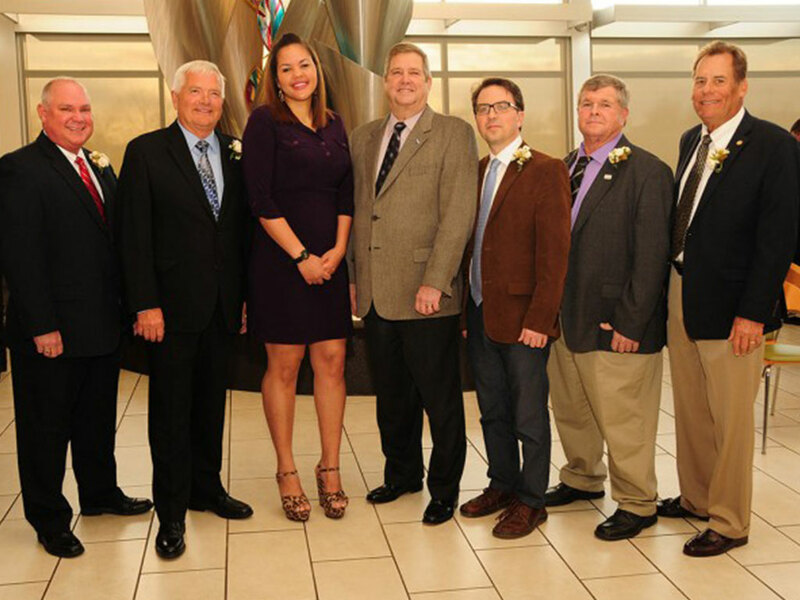 Former Linn County Sheriff Brian Gardner, women’s basketball student-athlete Whitney Maxey-Trotter, and Construction Technology program graduate Tim Ruth were honored. The evening’s festivities included the reunion of Architectural Technology’s first graduating class. Graduates reminisced about their time at Kirkwood 30 years ago. For more information about the Kirkwood Foundation and Alumni & Friends, please visit www.kirkwood.edu/foundation.